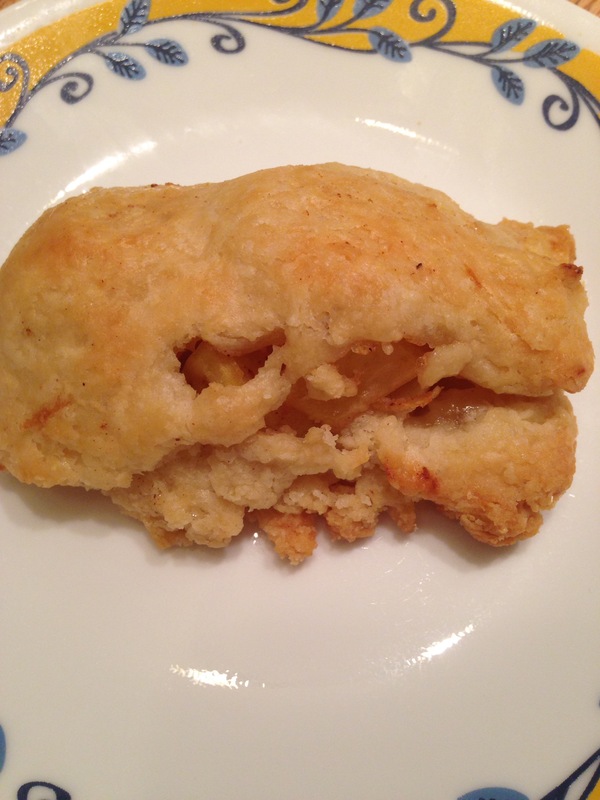 A few weeks ago I was chatting with a friend about her recent baking adventures and she mentioned that she had tried out a new recipe for caramel apple hand pies. The idea of this grabbed hold of me and wouldn’t let me go. I love baked goods that are easily portable because I can send them in Owen’s lunch. I also have very fond memories of the Hostess brand pies, with their syrupy filling and sugar glazed crusts. After procuring a couple of pounds of honey crisp apples from Walter’s Fruit Ranch on Saturday I was ready to try it out. First, I looked at recipes. The recipes that I looked at used double crust pie dough for the housing and different blends of spices, zests and thickening agents for the filling. I decided to pull together the things I liked about each and also use up some things I had on hand. For the filling I diced 3 large apples, which proved to be too much. 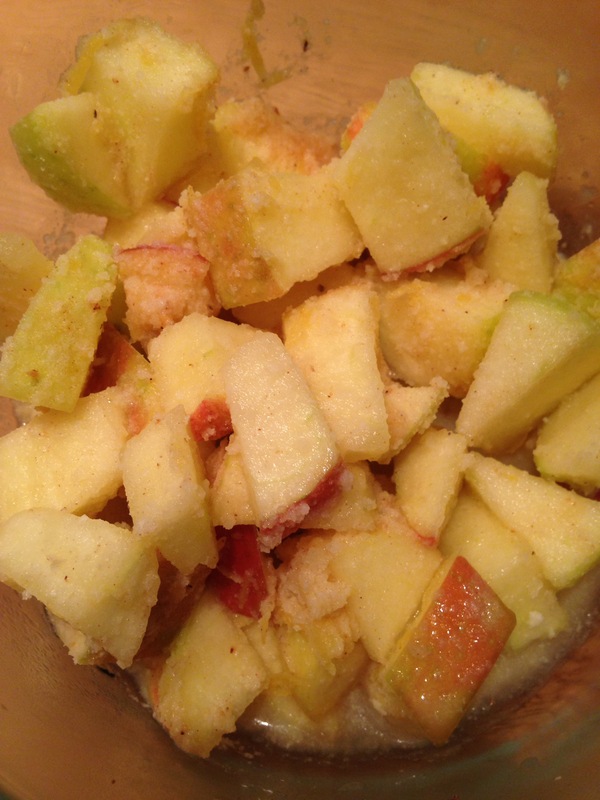 I dressed the apple chunks with: the juice and zest of one large lemon, salt, cinnamon, and freshly grated nutmeg. Then I added about 1/3 c. of buttermilk glaze that was leftover from the carrot cake I made last week. I stirred all of this together and then let it sit in the fridge for about an hour before baking. I finished by heating my oven to 425 but immediately reducing the heat to 375 when I put the pies in the oven. This helped them to brown a little on top. After 40 minutes the pies were flaky and buttery on the outside with a moist, not too sweet, filling. The nights are longer and longer here just south of the 49th parallel. I rise in the dark and wait for the weak winter light to filter through my windows. 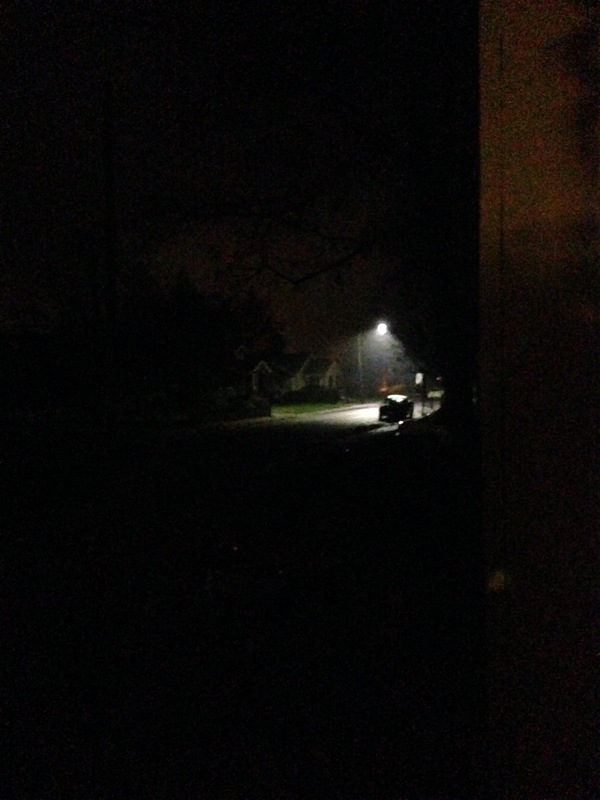 Soon I will come home in the dark as well. During these long nights and short days I am most grateful for running. Feeling the sun shine on my face and penetrate my psyche is nourishing to my mind and body. 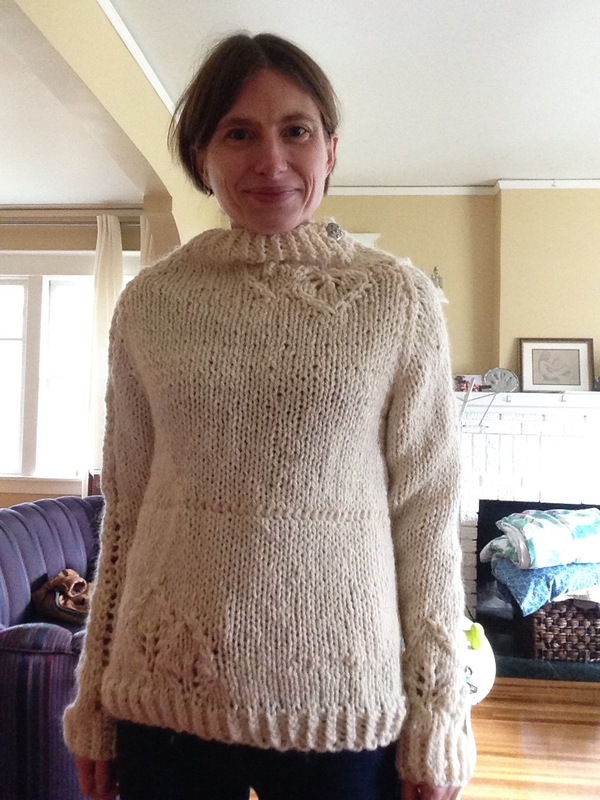 Pattern: Lace Leaf Pullover by Teva Durham. Now, on to the problems with this pattern. One: there are math errors, at least in the version I have. And the link to errata from the Ravelry page leads nowhere. So, since I knew there were errors but couldn’t access the corrections I ignored it when the stitch count was off and just made sure that everything would line up properly in the end. The errors were in the sleeves and I knew I would be shortening them anyway. And I’ve knit more than 10 sweaters in my lifetime and I am of a non-standard (I can shop in the juniors section because I am only 5 feet tall) size so I’ve modified most of them in some way. 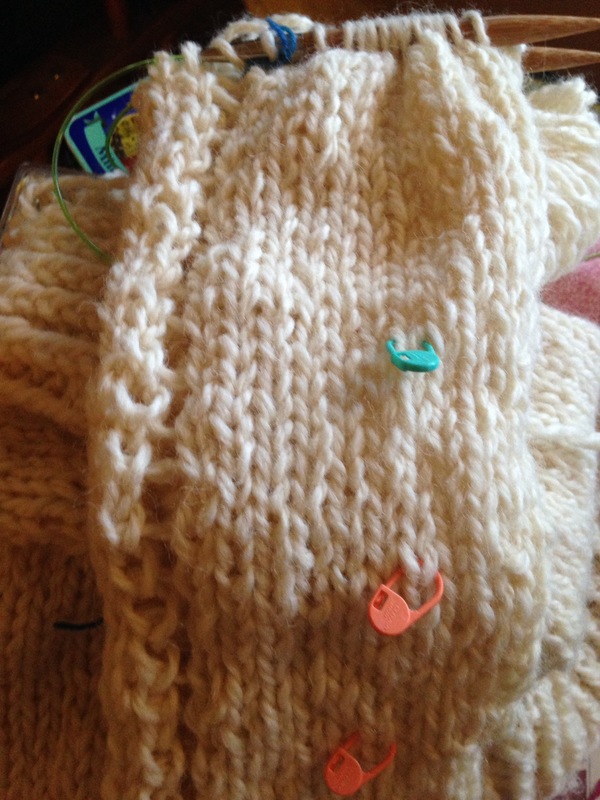 The 2 important points in knitting sleeves is this: they shouldn’t cut off your circulation, give you sweater wings or eat your hands AND the bind off and stair step bind offs and decreases that make up the sleeve cap should match the same in the armholes. Or at least be close enough to fudge. This produced a really obvious line. I picked it out. Then I flipped the sweater inside out and used Kitchener stitch again. There was still a really obvious line. 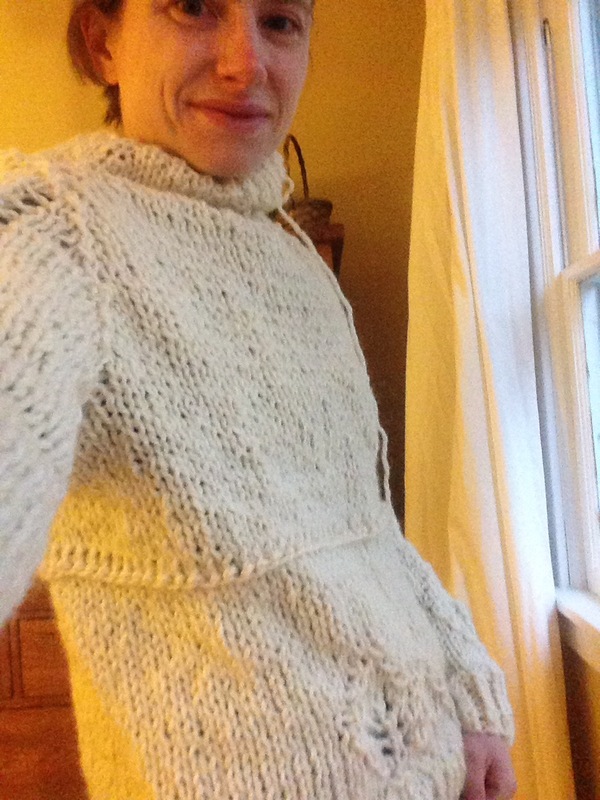 Finally I settled on a 3 needle bind off, worked with the right sides of the sweater together. There is still a line, but it’s much less obvious. And I have to say, I like the sweater. I like the asymmetrical sleeves. I like the way the collar comes up on the neck and has a button. It’s a cute, quick,slouchy sweater. It’s perfect for wearing around town on the weekends. It’s just too bad that the pattern wasn’t well constructed. My heart was pounding. I could feel it beating against my ribs. My breath came in rapid, shallow bursts. It felt like a 300 pound man was sitting on my chest. I couldn’t breathe and I couldn’t think. My thoughts raced. I was having a panic attack. Another one. I was sitting in my office and I knew that I wasn’t going to get any more work that day so I went home. Home to the the second floor apartment I had moved into a month earlier, a month after my husband of 9 years told me he wanted a divorce. When I got there I thought: I can sit on my couch and listen to my blood pound in my ears or I can do something else. Anything else. I decided to run. It was an unseasonably warm day in early April, 2013. I pulled on a pair of running shoes from the back of my closet and a t shirt and shorts and headed outside. I told myself I would run until I was tired and then I would turn around and run home. And that’s what I did. I ran until I my breathing steadied and my heart rate slowed. Until my already heavy legs felt tired from work instead of stress. I can’t remember how far I ran or how long or even returning to my apartment. What I do remember is the bright sunlight and the warmth hitting my sides and my legs and my arms. 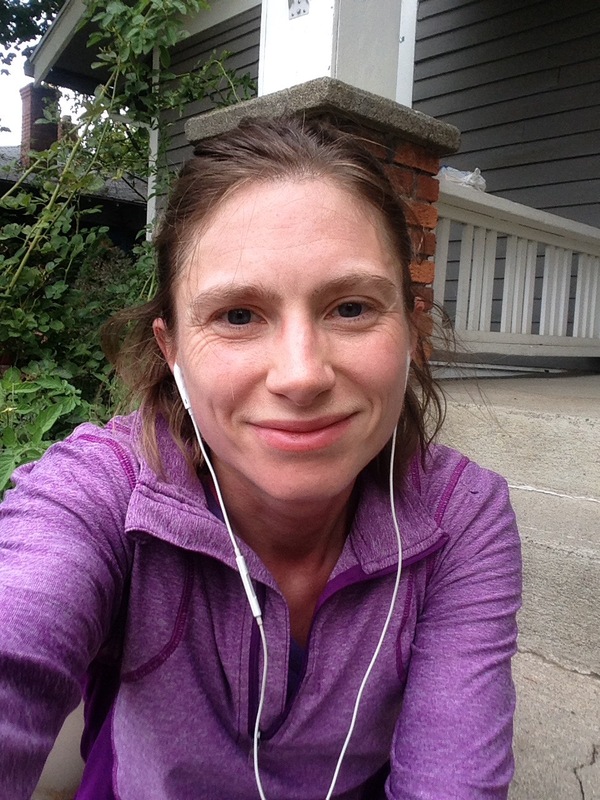 And I remember feeling more at peace than I had in a very long time after that run. After that initial run I decided that I would run every morning that I didn’t have my son with me. And I stuck with that. 3 or 4 mornings a week (depending on my custody schedule) I would pull on running shoes and head out the door. 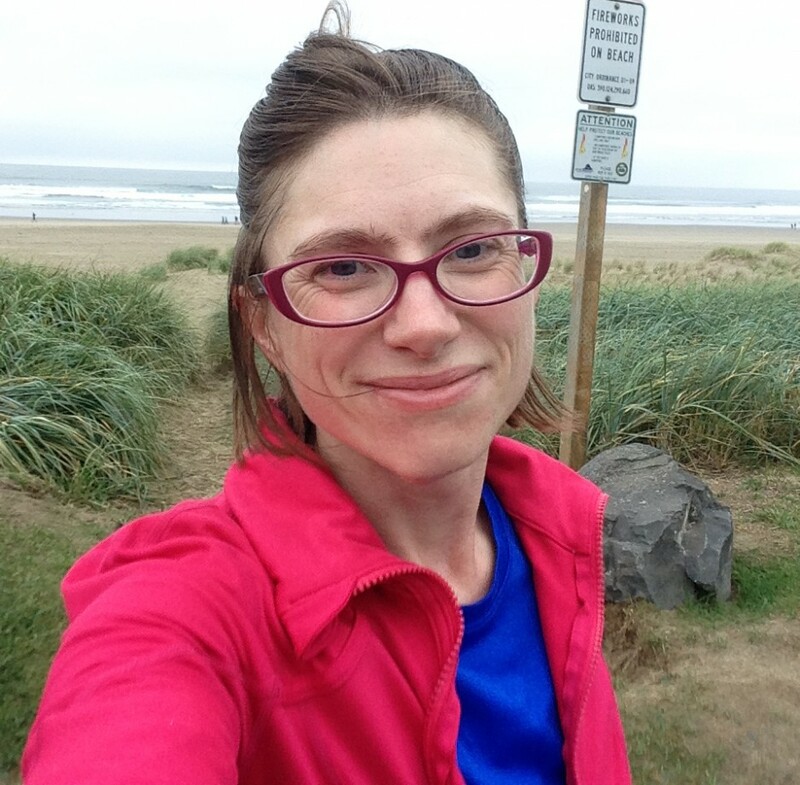 At first I ran short distances– 1 mile, 2. It was at least a month before I even thought to calculate my distance. I ran without a phone. The only thing I would take was my keys and my second generation iPod. I felt freedom. And peace. This was the beginning.